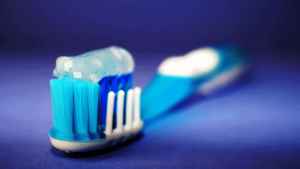 Proper toothbrush selection – Use a soft-bristled toothbrush to apply gentle pressure. This can help reduce the risk of injuring your gums. Clean the inside surfaces of the front teeth with the tip, using a gentle up and down motion. Don’t forget your tongue! Your tongue contains bacteria same as your teeth. Brushing your tongue will also freshen your breath! Changing your diet slightly can save your teeth. Prolonged exposure to acidic coffee or tea added with sugar can increase your risk for new cavities. Enjoy your beverages like coffee or tea but try to keep it limited during the day. Also, a quick rinse of your mouth with water after can give your mouth a fighting chance against the sugar and acids. The best step you can take in improving your oral health is knowing what your cavity risk is by consulting a dentist for a comprehensive dental exam. Often cavities can form before you feel any discomfort. Are you concerned about cavities or have questions about your oral health? 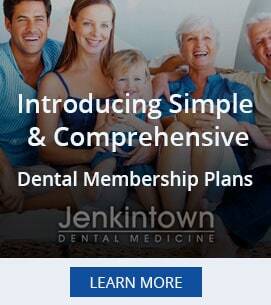 Jenkintown Dental in Elkins Park provides caring and expert dental care.